It’s late May 2017 in Ibiza, and the end of a long week of opening parties on the island. 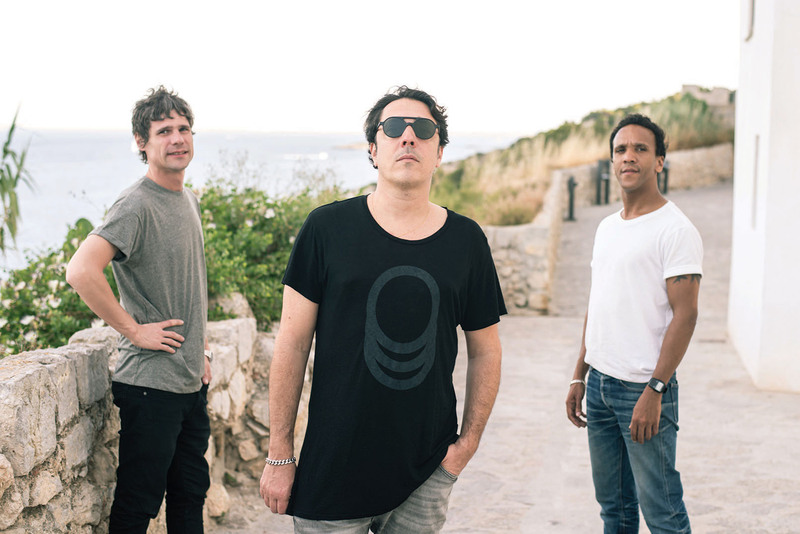 Shortly after Apollonia close the terrace on the first night at Hï — the all-new White Isle superclub opened on the former site of Space — Shonky, of the French DJ trio, is hosting an after-party at his apartment in the hills overlooking Talamanca Bay just outside Ibiza Town. He’s been spinning for hours with his Apollonia band-mate, Dyed Soundorom, on the set-up on his dining table — made up of two Technics 1210s and a DJR 400 portable rotary mixer from Parisian audio design company E&S. Work by American artists Jim Dine and Georgia O’Keeffe adorn the walls, while a small collection of close friends sit outside on scatter-cushions soaking up the sun that’s risen high above Dalt Vila in the distance. Vinyl litters the area surrounding Shonky and Soundorom, and both smile as they dance to the hypnotic ‘Where Do I Go’ from mysterious ‘90s Chicago house producer, Gemini. Watching them spin, it’s clear — even 20 years into their love affair with deep and trippy minimalist house music — that their desire to play hasn’t wavered. 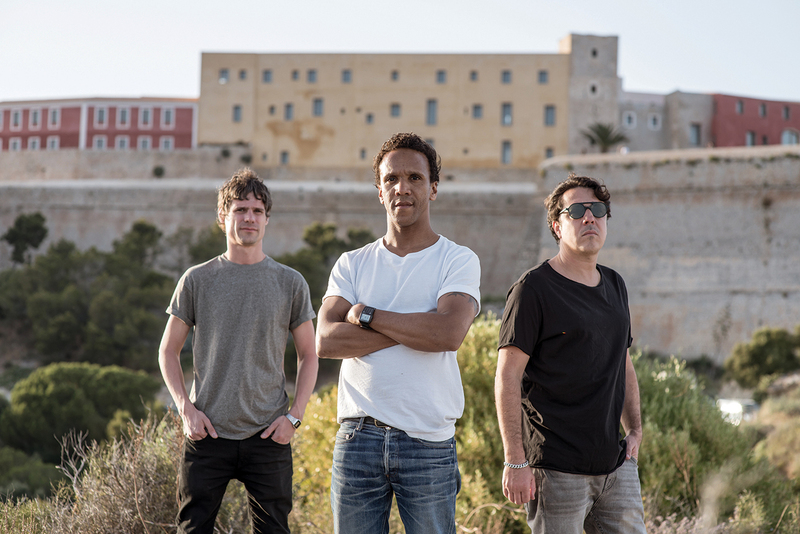 Openings began exactly a week previously for the Apollonia trio at DC-10’s Monday shindig, CircoLoco, at the beginning of a summer that follows the year they became kings of the White Isle — loved by the underground while conquering the island’s most cavernous spaces. 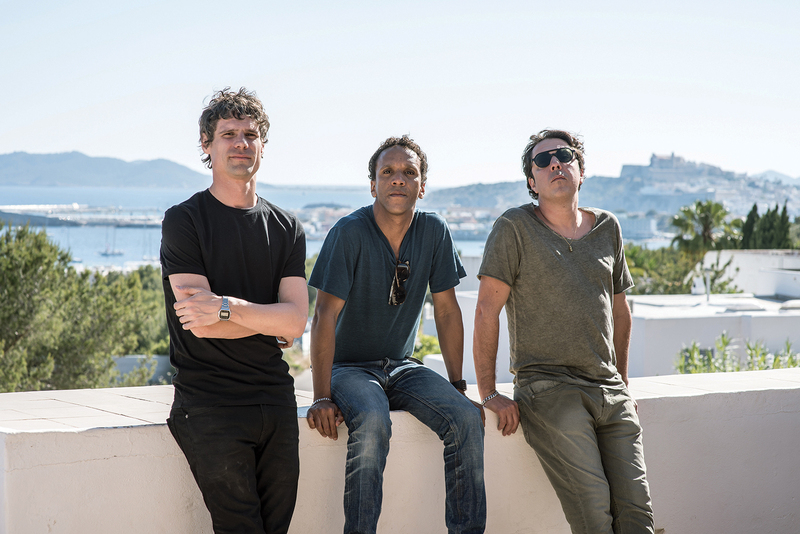 Forming their three-piece back-to-back-to-back DJ outfit and label in 2012, made up of Shonky, Dyed Soundorom and Parisian house stalwart Dan Ghenacia — who each had formidable individual careers before forming Apollonia — the trio are long-serving residents of CircoLoco, a bastion of the underground on the island. But last year saw what once might have seemed unthinkable happen, with their alternative sound of Ibiza taking over the main rooms. 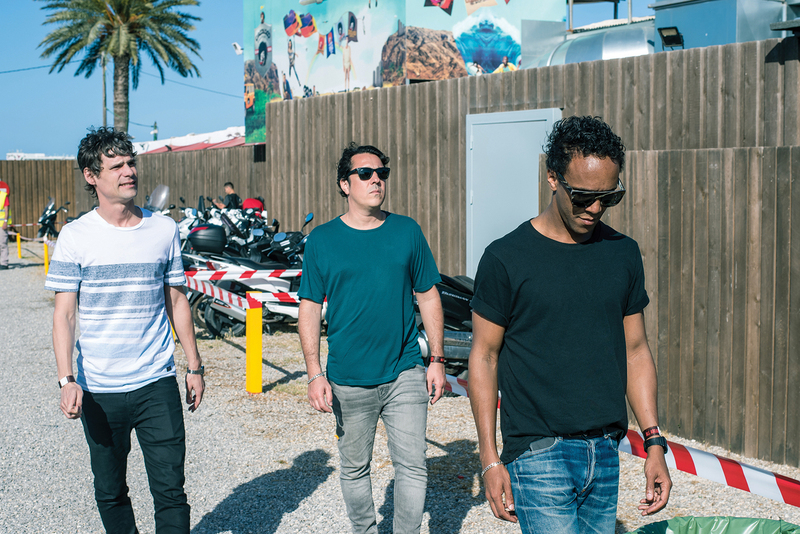 Booked by Marco Carola’s Music On to play Amnesia’s famous Terrace for six dates throughout the summer, they also span at ANTS at Ushuaïa Beach Club. And this year looks set to be even bigger, with an all-night-long gig planned for July at Hï, as well as more dates booked to play extended sets at Music On — alongside, of course, regular bookings as part of the DC-10 family. 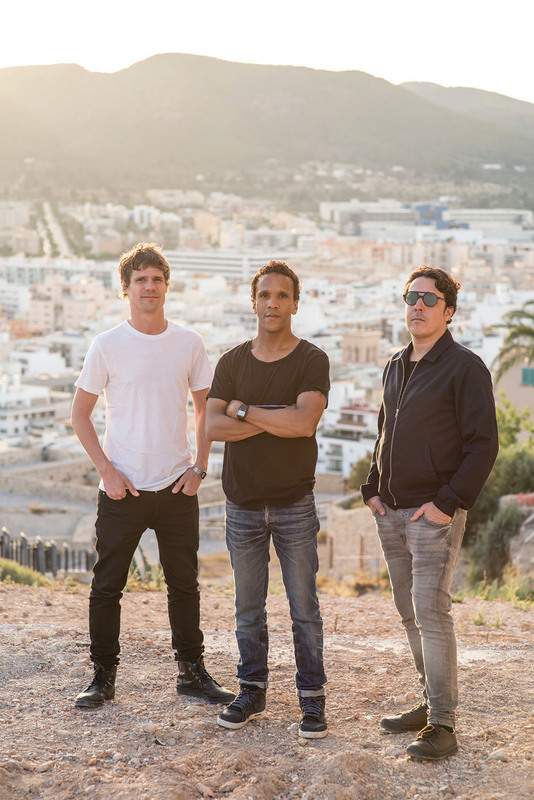 It’s not just Apollonia that have emerged from the underground in Ibiza this summer. Cocoon welcomes the likes of Raresh, Rhadoo, Nastia, Sonja Moonear and Zip, while Unusual Suspects has locked Thomas Melchior, Ion Ludwig, Mandar and DeWalta in a season bringing many names not closely associated with Ibiza to the island. Underground, the long- standing haven for more minimal house and techno alongside DC-10, also has arguably its strongest season in some time, with residencies from tINI & The Gang, Raresh and Rhadoo, as well as performances from Praslea, Mathew Jonson, Molly and more. Being in Ibiza this summer, it’s clear the underground has truly taken over. Apollonia’s road to becoming mainstays on the island didn’t happen overnight, however. Far from it. With the trio having known, partied and played together for almost two decades, one of electronic music’s most enduring relationships started at a small but seminal after-party in Paris — the city they all used to call home — in the late ‘90s. It was there that Ghenacia played as a resident at the now-famous Kwality after-party on a small red boat permanently docked on the River Seine called La Batofar. It was here that he would spin to a small, tight-knit community on the venue’s intimate dance floor, a party that would still be going strong come the venue’s close at midday. At the time, French touch was morphing into filter house, and the likes of Daft Punk and Cassius reigned supreme. But the deep and trippy house that selectors like Ghenacia, as well as Jef K, Jerome Pacman, D’Julz and DJ Sonic were playing at the same time began to permeate Parisian dancefloors. Dyed Soundorom was then running PR for the club Les Bain Douches — where Ghenacia also played — and met Shonky as a club-kid while running the door there, before taking him to see the Kwality resident at La Batofar. La Batofar paved the way for the continuing trend of parties on a boat we’re still seeing in Paris today, led by the jewel in the crown of the French capital’s current house and techno scene, Concrete. But the music being played at the Kwality parties also forms the blueprint of the sound Apollonia still play today, immortalised by the ‘Kwality Batofar’ compilation, which demonstrates that the music the French DJs were playing at the time had one foot (if not more) rooted firmly in the sound of US house music. Before starting his Kwality residency in 1998, Ghenacia had just returned from living in San Diego, where he moved to learn to speak English. There he would meet Mark E. Quark, who was working as the buyer at a record store in the city. He would serve as Ghenacia’s mentor, introducing him to mixing the sounds of deep and druggy house music coming from Californian labels like Grayhound Recordings, and soundsystems like the Wicked Crew, with music from Chicago house imprints like Cajual Records and Guidance Recordings. And the music they’ve come to represent encapsulates the sound the three artists have played through their history, mixing the deep house of La Batofar with newer, techier cuts. All of this music — whether it be stripped-back house with punchy kicks, druggy rhythms and intricate percussion, or peak-time tracks from their sphere more fitting for Ibiza’s main rooms — falls loosely under the tech- house banner, despite it becoming a dirty word in recent years. The balance between long and short slots in bigger and smaller spaces on the island is what they say is best for their dynamic as a trio. At DC-10, they are usually tasked with playing individual sets of 90 minutes, whilst at Music On — where they also played the after-party at Cova Santa last summer — they could spin together for up to 17 hours across both venues. Despite long sets usually being reserved for the more discerning end of the dance floor, there’s something universal about Apollonia’s all-night-long stints. When the trio did their BPM Festival live stream in January, concurrent viewing figures peaked at just over 9,000 while live — more than NASA gained for their moonwalk — and total 497,000 views at the time of writing. Back on the island, DJ Mag meets Apollonia again at DC-10 after they play CircoLoco’s opening party, where Soundorom and Ghenacia spin b2b on the iconic club’s packed-out Garden, with a set that mixes their bouncier, more percussive side with playful interjections of tracks like Wildchild’s ‘Renegade Master’. Shonky, charged with controlling the Terrace as the sun goes down outside, opts for techier club tracks that give the venue’s revered Void Acoustics system an early season work-out. 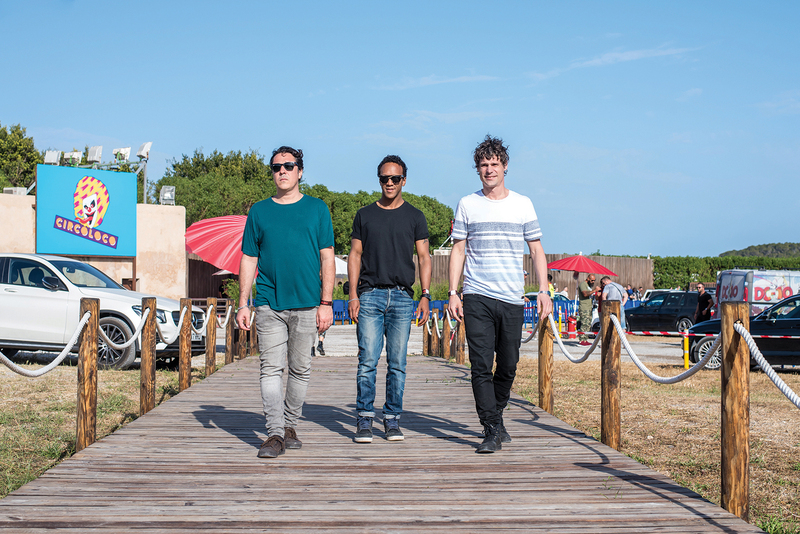 The trio first visited the venue in 2000, after Ghenacia played Ibiza for the first time at the opening year of David Guetta’s F*** Me I’m Famous party. While on the island he first encountered Tania Vulcano at DC-10 — dubbed the First Lady of CircoLoco. “I realised we had a chance when I came here,” Ghenacia says as he relaxes back-stage. “When I saw Tania playing, I had that feeling because of the music. DC-10 isn’t for everyone, but for DJs playing a deeper sound, it’s the club that gave an opportunity to express yourself in front of a lot of people.” Ghenacia went on to meet Vulcano, and would give her a copy of the ‘Kwality Batofar’ compilation when it was released in 2002. “They called me the week after and asked me to play,” he smiles. Ghenacia played twice that year, including at the closing party, before becoming a more regular fixture the following summer. In 2004, they told him whenever he was on the island, he could play the club. On that premise, Ghenacia moved to Ibiza for the season, becoming an early resident at CircoLoco. Soundorom was the next of the Apollonia trio to play the club, at the end of 2009, before Shonky began to become part of the family in 2011. And the surge of Apollonia has come in the middle of a boom for the entire underground electronic music scene. The quality and breadth of house music has arguably not been as strong since the trio’s formative years in the late ‘90s, whilst the industry continues to grow at an alarming rate. Later in the week we meet at another of their favourite spots on the island, La Tana. The small Italian restaurant lies just outside Dalt Vila’s walls in Ibiza Town, and as the trio laugh and chat there it’s clear that friendship is the key element that lies at the heart of their success. They live just walking distance from each other on the island, with the Fish Shack, where we met earlier in the week, the halfway point between them. And it’s in that laid-back environment that any Apollonia meetings tend to take place through summer. As the trio eat, they are more than happy to have their dinner interrupted by passing fans asking for photos, and it’s clear they have adopted Ibiza as their second home. Shonky — who, like Soundorom, spends the winter in Berlin — recently bought his apartment on the island, whilst Ghenacia, who moves to a new house mid-way through opening week, also throws a regular beach party in Ibiza through the winter months. Much like they know every member of staff at DC-10, they know every waiter in the restaurants we visit through the week — the island is very much part of their makeup. The friendship Apollonia is built on is what they owe much of their career to. Before embarking on the project, Ghenacia ran his seminal Freak n’ Chic imprint along with French DJ/producer David Duriez. It would press the debut EPs of Jamie Jones, David K, Sebastien Bouchet and Djebali, and it was through the label both Shonky and Soundorom would both see their first material released too. After a falling out between Freak n’ Chic’s investors, the label folded, and the concept of Apollonia rose from its ashes. The agency morphed into Lola ED — which has gone on to represent established artists including Chris Carrier, D’Julz and Terence :Terry:, as well as newer names likes Diego Krause and Traumer — and with it, Ghenacia established himself as something of a mogul of quality French house music and the artists that circulate its sphere, looking after a significant proportion of the scene. Shortly after, in November 2011, Cassy invited them to play together at her birthday party at Panorama Bar, where they would realise their loose rule of one record at a time — starting with Ghenacia, then Shonky and then Soundorom. “We realised having that discipline worked better,” Ghenacia explains. 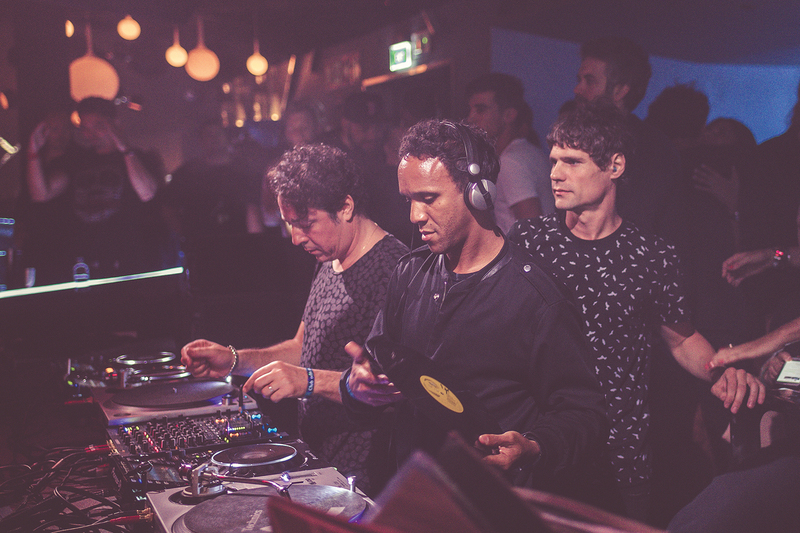 Following that, Apollonia was formalised as a DJ trio at Lola ED’s party at the next Amsterdam Dance Event, where selectors on the agency played to represent their labels — Le Loup and Seuil span as Hold Youth, Djebali as his eponymous imprint, and Ghenacia, Soundorom and Shonky under the banner of their new label. With it, the band was born. Early releases saw Ghenacia and Shonky’s ‘Close To The Edge’, a pseudo anthem on an underground scene that doesn’t operate on a hit formula, as well as a repress series featuring Point G’s classic ‘Underwater’ and Kerri Chandler’s ‘Sunday Sunlight’. More recent releases have seen iO (Mulen) with his ‘Letters & Numbers’ EP and Shonky’s ‘Tyrolien’ EP. Returning to the theme of balance, the trio agree that recently midweek has become their solo time, where they take days apart and hit the studio. Shonky keeps his in Berlin, where Soundorom is also currently adapting his own to incorporate more analogue gear, while Ghenacia is building a small set- up in Ibiza to compliment his main studio in Paris. 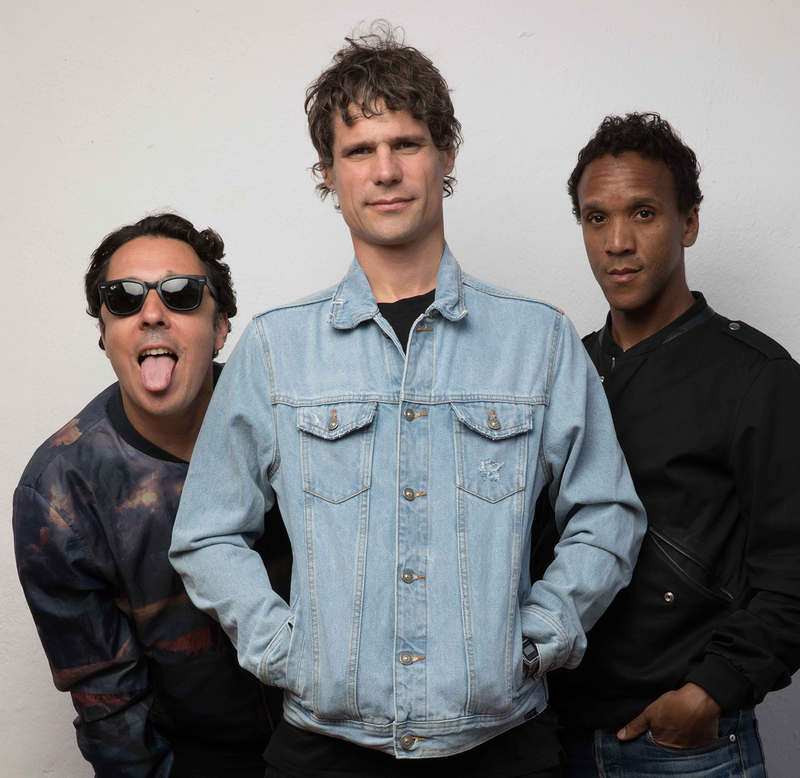 Their last joint production was Apollonia’s ‘Tour À Tour’ album that landed in 2014, but since then they’ve developed a new b2b2b production method where they work remotely and move the production between them. The trio plan on road-testing the material they’ve been working on through summer, before deciding on three tracks for an EP they hope to release in early 2018. But there’s plenty of new material landing in the meantime, with Shonky’s ‘Tyrolien’ followed by five remixes by Ghenacia and Carrier, including a rework of Guti’s ‘This Must Be The Future’ and Madrid Inc’s ‘My Sunday’s Love’, whilst next up on Apollonia is Laser’s ‘Body’ EP, a repress of an Italian rarity from the ‘90s that lands in July. The morning after we meet, the trio board a flight off the island to play solo gigs before hitting the UK together to spin on Saturday night at We Are FSTVL. It’s that circuit that they feel offers them their next big challenge. Alongside Sunwaves, the trio played the inaugural edition of Marco Carola’s Music On festival at the beginning of May, as well as having established themselves as regulars at BPM Festival and Time Warp. The night after We Are FSTVL the trio are back on the island to close the main room at Hï’s opening party. Playing together in a booth with more space than they were afforded at DC-10, the trio seem at ease as they let loose while working the stacks with their minimalist tech-house. 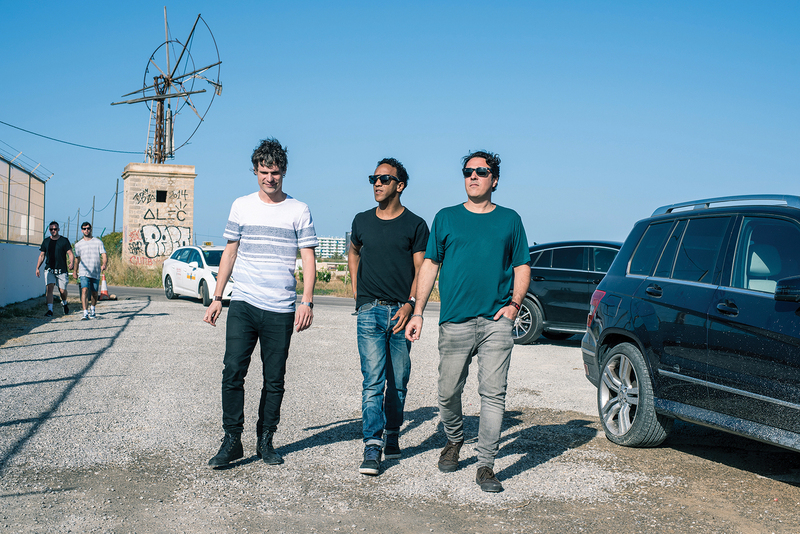 The 20 years it’s taken Apollonia to conquer the island’s biggest venues maintains a realness to them as individuals, as they haven’t lost the essence of what made them who they are. The bottom line is that Apollonia is a brotherhood built on a love of digging for house music in its purest form. It’s taken them from masters of the after-party to the world’s biggest stages. Want more? 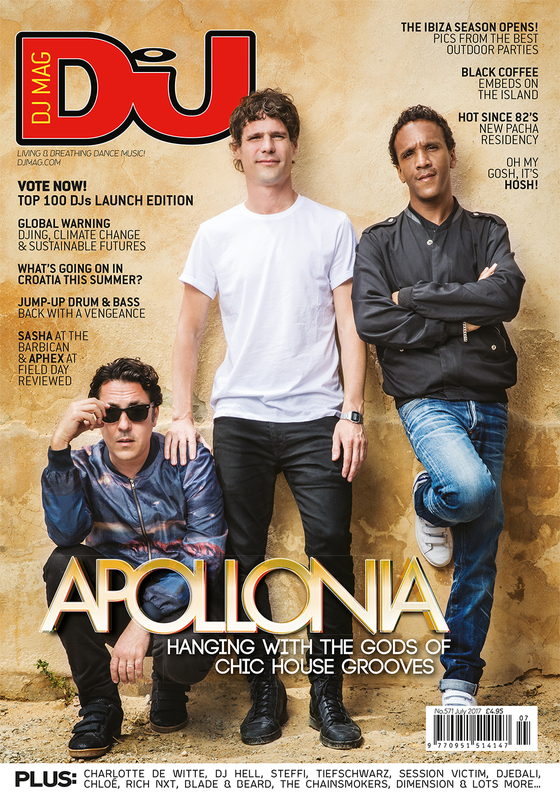 Check out DJ Mag’s feature on the French house renaissance and watch Apollonia’s short tour documentary from December last year below.